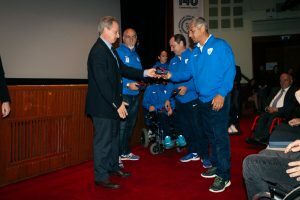 On Friday, November 18, The American College of Greece had the honor of welcoming the Greek Paralympic team on campus. 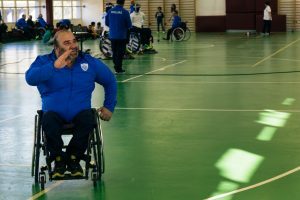 Fountoulakis addressed the students, and spoke to them about the strength shown by the national team, the unique relationship that has developed between the athletes, and the team’s excellent performance at the recent 2016 Summer Paralympics in Rio. 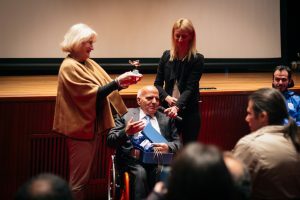 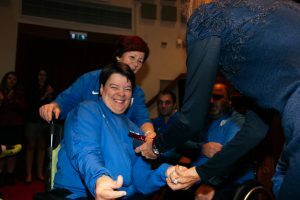 In a celebration that followed, the Paralympic athletes were each presented with a symbolic gift, and in a surprise ending, Dr. Dimitris Andreou, Vice President of Enrollment and Administration, announced the establishment of two academic scholarships for members of the National Paralympic Team of Greece. 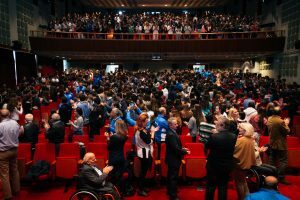 The scholarships will fully cover tuition costs for studying a Bachelor of Science degree program in Sports Management, giving the athletes the opportunity to combine their athletic development with university studies in an academic institution that offers supreme sport facilities. 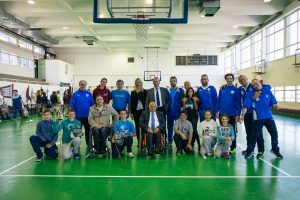 The event came to a close after incredible athletic demonstrations by the team, and a game between the students and the Paralympic athletes. 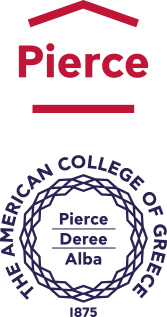 The American College of Greece, an organization with a long tradition in athletics, will continue to support the team in every way possible, and at every step of the way!